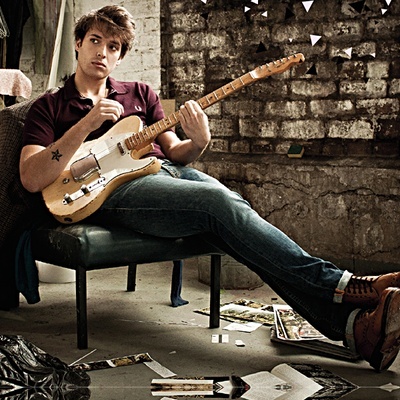 Paolo Giovanni Nutini (born 9th January 1987) is a singer-songwriter from Paisley, Scotland. His father is of italian descent and his mother Glaswegian, although his father's family have been in Scotland for four generations. His influences include David Bowie, Damien Rice, Oasis, The Beatles, U2, Pink Floyd and Fleetwood Mac. Nutini had no formal music training, and was expecting to follow his father into the family fish and chip shop business. He was first encouraged to sing by his music-loving grandfather and a teacher at his school who recognized his talent.